I’m writing to ask if you could let leading Welsh players know about the forthcoming Northumbria Chess Masters, at The Chillingham in Newcastle upon Tyne, from 14-18 February, 2018. It would be very much appreciated! The venue is where many players got their first experience of international chess (the current 2017 British Champion, GM Gawain Jones, was one of them, aged 8, at the first Northumbria Masters back in 1996! ), and where several players achieved their first title norms (myself included). Chief Arbiter Lara Barnes and I have very happy memories of those Chillingham events back in the ’90s, and we hope to recreate that friendly atmosphere once again. We’re aware that many players these days have busy schedules, so the event takes place over just 5 days – and is timed to coincide with the Spring Term school holidays, to enable promising local juniors to take part. 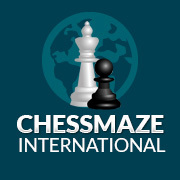 We have a certain amount of sponsorship to help Grandmasters and International Masters take part. This means that if you’re a titled player (IM/GM), we have a limited number of appearance fees available, as well as being hosted by a local player during the tournament. For more details, please write to me separately or call me on: (0750) 372 2366. Together with other club members at Forest Hall Chess Club, I look forward to welcoming you to Newcastle – whether it’s your first time here, or a pleasant return visit!